More and more people are becoming self-dependent and the freelance market is the best platform to exhibit their expertise on various fields. So, here is the opportunity to start a business based on the freelance market and Freelancer Clone Script provides you the base for that. Freelance market is the place where people can find the job, at the same time they can also get their work done and as a site owner, you can control this process. In this way, you can make money from both sides; freelancers and entrepreneurs. So, let’s make this platform your income source and launch your own freelance job website without any hassle. Why is it a good deal to invest in the freelance marketplace? The freelance marketplace is currently trending because numbers of freelancers are increasing day by day. Most of the people want to be their own boss and don’t like typical corporate 9 to 5 job, while some want to earn more besides from their regular salary. On other hand, entrepreneurs and business corporations are looking for the productive professionals at very effective cost to get their work done in less time. Now you can see that it’s beneficial from both ends and as an entrepreneur you should grab the opportunity by investing in freelance marketplace. To help entrepreneurs like you, ClonesCloud has launched PickGeeks - A Freelancer Clone Script. 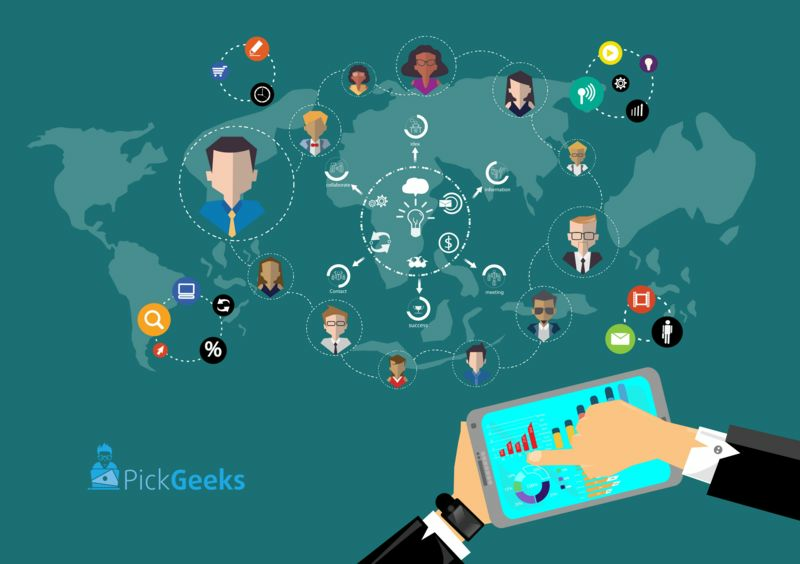 PickGeeks is crucial for entrepreneurs who want to jump in the freelance marketplace business. Our freelance script helps you to build a site that has excellent user-interface and dynamic web designs. Using PickGeeks you can build a site that has an easy navigation for both freelancers and entrepreneurs. With these features, you can easily build up your own freelance site similar to Freelancer or Elance and that also in no time. With our Freelancer Clone Script, you can build up a site which is highly effective in performance. And ultimately it helps you to make your business more profitable, so inquire us at sales@clonescloud.com for a free quote now.